At Halcyon we're dedicated to creating an impression that lasts by delivering outstanding quality and a tailored, first-rate service. The world of printing can be a little bit of a minefield. But don't worry. Halcyon help is at hand! We've developed some handy guides to explain the ins and outs of the services and techniques we offer. You will also find specific info on paper/envelope sizes, plus tips on how to supply your artwork to us. Take a look around. If you can't find what you need, tell us and we'll get it up here! When it comes to printing your job, there are a few techniques that we can use to make your project come to life. We'll advise you on what approach is best for your specific job. This traditional printing method is called Offset Lithography. The image to be printed is first "burned" onto a metal plate using lasers and the plate is placed onto large printers (presses). The image is transferred (or offset) onto a rubber blanket and then the ink is essentially 'pressed' into the paper. Litho printing gives a consistently high quality finished piece, even on very long print runs, and prices reduce significantly the more you print. This printing method simply prints images directly from an electronic file. The printers are a lot like photocopiers, but way more sophisticated! Digital printing is more suited to shorter runs and is faster than litho. Spot colours can be produced on digital print, and print can also be personalised, making each printed piece unique. It's also known as "relevant print" because it can be made relevant to the individual. Traditionally, digital printing uses dry powder to produce images. But now there are special machines that use liquid ink! This method produces prints with much sharper images, more vivid colors, and similar in quality to those produced by conventional (litho) inks…and sometimes even better! So if you want all the benefits of digital printing (low quantities, personalisation, fast turnaround), combined with the qualities of liquid ink, ask Halcyon about using liquid ink digital to print your next job. Colour is print's bread and butter. Here's the low down on the different ways colour is described, and the techniques used in printing. Digital screens (computers, mobiles, cameras etc) use Red, Green and Blue (RGB) light to display colour. Commercial printing presses print with cyan (blue), magenta (red), yellow and black ink to produce colour. This is called CMYK process printing, commonly known as "four (or full) colour printing". How does CMYK process printing work? The original colour image is separated into four different colour values using software, and then transferred to printing plates. Small dots of these four base colours; cyan (blue), magenta (red), yellow and black (the k in cmyk), are printed at different angles to create the printed image. Amazingly, most colours are reproduced with just the four process ink colours. The PMS System (Pantone Matching System) uses pre-set colour formulas to create thousands of ink colours. They are all listed on the Pantone colour chart, and each colour has a 'PMS' number to identify it. The pantone ink is made using the correct mixture of base colours, according to its specific formula. Using PMS inks is called "spot colour printing". Consistent branding/logos - Think Royal Mail red or ASDA green. Using PMS colours for your logo and stationery will allow you to ensure colour accuracy and establish a standard that anyone working with your artwork will be able to match. Colours outside the range of CMYK - Some colours simply can't be produced with CMYK, like navy blue or bright orange. Colour consistency - If you are printing a booklet or catalog where a solid block of colour needs to be consistent from page to page, it might be worth using Pantone. When printing a solid colour with process inks, slight variations in the colour balance can affect the consistency of the colour. Smooth coverage of large areas - A PMS colour works well when the consistency and saturation of large areas of a solid ink colour is important. When choosing paper, it's important to choose the right option that will work best for your project. Want to actually touch the paper? No problem. Just ask us what you're interested in and we'll be round with paper samples. 80-100 gsm: stationery, text pages for magazines, booklets, flyers and brochures. 120-170 gsm: text pages for booklets, flyers and brochures giving a more expensive feel. 280-420 gsm: cards of all sorts and book/booklet covers. Paper can either be coated or uncoated, and determines the final look and feel, as well as the usability of your printed piece. This is essentially like a varnished piece of wood. The paper's surface is "coated" with a clay compound to make it smoother, reflect more light, and to reduce the amount of ink absorbed. Coated papers come in: Gloss (high shine finish), Satin (medium shine) or Matte (non glossy) finish. HANDY HINT: Will your printed item need to be written on? Gloss coatings can make writing difficult. If you still want the gloss effect, coatings can be applied to one side only, like greetings cards/postcards, leaving one side uncoated for writing on. This is paper that hasn't gone through any polishing rollers during manufacture and therefore has a rougher surface than coated paper. Because the surface hasn't been sealed, it soaks up ink and doesn't give the sharp finish achieved by coated paper. It is, however, easy to write on and gives a more natural or earthy feel to your printed piece. If you do use new paper, then why not tell your customers about its environmental credentials. Add a section to your website using the points above, or link them to the official FSC website here. You can also print the FSC logo on any items you print. Just ask us on your next job and we'll supply you with the logo and the correct wording to use. Thanks to advances in technology, recycled paper is more efficiently and environmentally produced than ever - in fact, paper can be de-inked, re-pulped and remade up to 8 times! One of the recycled paper ranges that we use is called ‘Revive' and is available as a 50%, 75% and 100% recycled. And any new paper mixed into the 50% and 75% grades is also FSC certified. Some of our clients use recycled paper on everything they print. If you'd like to know more about how you can use more recycled paper, get in touch. Paper is known as "Carbon Balanced" when any carbon emissions associated with the production of the paper have been offset, along with land saved for bio diversity, by the World Land Trust. The paper comes with a logo that you can add to your printed items and a World Land Trust certificate. All our Revive recycled papers are already carbon balanced, but you can request that any new FSC paper be carbon balanced too. Click below to view our handy paper size guides. Why not print them out and pin them to your wall so they are just a glance away when you need it. Click below to view our handy envelope size guide. Why not print it out and pin it to you wall so it's just a glance away when you need it. For most printed items, we like to receive your artwork as PDFs. Sometimes we need it in other file formats, but we'll tell you if we do. If you are designing a brochure, supply the text pages as single pages, and the covers as spreads. For really good print reproduction we need files saved at 300ppi. This means there are 300 pixels per inch of the artwork. Any less than this and your artwork might print fuzzy, which neither of us want! Save your artwork in the colour format CMYK as these are the ink colours used to print your artwork. It's best if you do this yourself as if we do it, the colour of your artwork may change and it might not print as you expect it to. If you have any difficulty converting your artwork to CMYK, we are on hand to help. Bleed is the little bit of extra that goes on all the edges of your printed piece. When the artwork is printed, it's printed on a larger sheet and then trimmed down to the right size. It means your final printed artwork runs to the very edge of the page without any ugly white border. Normally we ask for 3mm bleed on all artwork, and we'll tell you if it needs to be any different. Include crop marks when you save you file, this will show the printers where your bleed is and where they should trim the document. Saddle-stitching is a technique used to secure folded paper pages with staples down the middle of the spine. Many booklets, newsletters and small catalogues are saddled-stitched. This is a cost effective way to attach up to 40 pages. Wiro binding (or spiral binding) involves threading a plastic coil onto the edge of your book. Often used for notebooks, wiro bound books can be opened completely flat as well as be wrapped around for reading. Pages can also be torn from the book if necessary. Perfect binding is when paper pages are fixed to a cover or spine using glue. Perfect binding is used for books and magazines. They look professional, stack well, and are ideal for presentation pieces. a method of cutting board or paper into customised shapes using a 'die'. Z fold, concertina, roll fold, gatefold, double gatefold, parallel fold - are all types of combination folding. the adjustment of space between letters. a paper with a slightly ribbed, textured appearance that is created in the manufacturing process. a process of strengthening paper or board and giving it certain properties. a method of printing that uses an intense beam of focused light to produce images. inks that will are guaranteed to have certain properties against fading when placed in direct light. a perforated line which runs across the width of the paper. continuous paper with punched holes at the edges, often used for computer output. the art of producing printed matter from a metal plate on which the design to be printed accepts printing ink and the other parts of the plate being ink repellent. a light brown paper made of wood pulp, often used for envelopes. a paper with a dull even finish. a very finely perforated cut. business forms that contain more than one leaf of paper per form to provide duplicates. 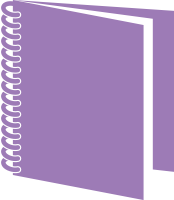 commonly used in form sets for duplicate copies. a term used when converting a font or graphic into a mathematical vector format. May also be called curves'. copies produced in excess of the customer's stipulated requirement. premixed ink colours that are often specified for printing as a spot colour. Can be matched using CMYK but will not be exactly the same colour as its spot colour counterpart. a standard of measurement for text: 1 pica = 12 points, 72 points = 1 inch. Pantone Mixing System. The Pantone ink system uses eight primary colours from which many shades are produced. These are individually numbered with a Pantone Reference. Using this system allows printers to mix inks accurately to match the colour specified by the customer. Printed Postage Impressions (PPIs) are a pre-printed alternative to stamps and meter marks for UK and international mailings. Mailing houses can print PPIs for you straight on to the envelopes during the processing of your mailing job. the number of dots per inch (DPI) in an image or photograph. The higher the DPI, the better the resolution and print detail. 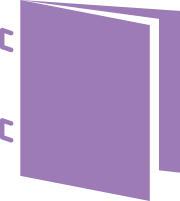 the binding of a book or brochure through the centre fold using saddle wire. a smooth paper with a finish that is slightly more reflective than that classed as 'matte'. a method of halftone screen printing that avoids unwanted patterns when printing solid or graduated colours. The following angles are widely used: black 45 degrees, magenta 75 degrees, yellow 90 degrees, and cyan 105 degrees. the number of lines per inch (or centimetre) on a half-tone or tint screen, equal to the number of dots per inch on the printed image. is not made using the process colours. Instead the colour is printed using an ink made exclusively, as usually refered to by a Pantone® number. Each spot colour therefore requires its own separate printing plate. Spot colours do not apply to Digital Printing as the printing devices can only reproduce from the four process colours; cyan, magenta, yellow and black. 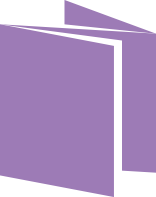 a proof-reader's symbol to indicate that the manual correction should be ignored and the copy should revert to the original. a tonal area that lightens the density of the colour being used. a chemical used in photocopying and laser printing. a varnish applied after printing and set with ultra violet light to give a high gloss finish. a graphic image formed by a series of points joined by angles and curves, which can be filled with colours and blends. As the picture is made from mathematical formula, it is not dependent on resolution therefore it can be scaled to infinity as a computer can recalculate the mathematical formula for any size. one or two words left on a separate line at the end of paragraph, especially where page breaks occur. Copyright © 2015 Halcyon Print Management - All rights reserved.